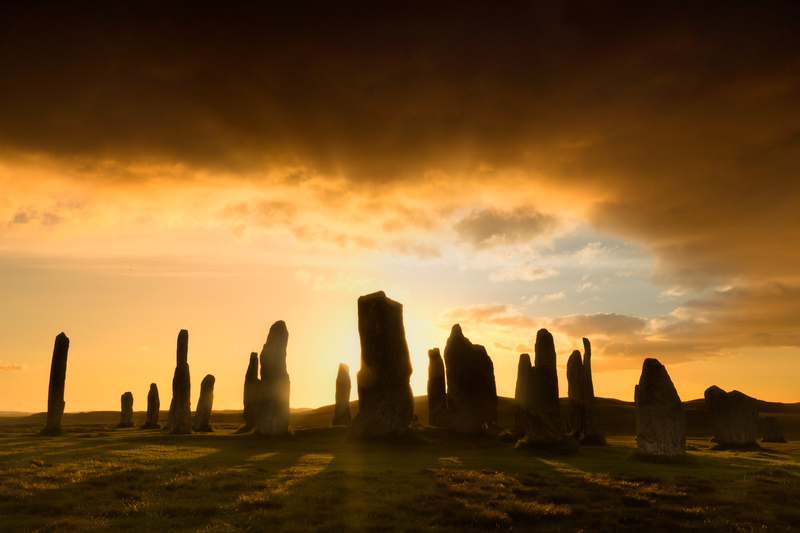 The Callanish Stones, or Tursachan Chalanais as they are known in Gaelic, are a world famous group of standing stones located on the west coast of the Isle of Lewis in the Outer Hebrides. 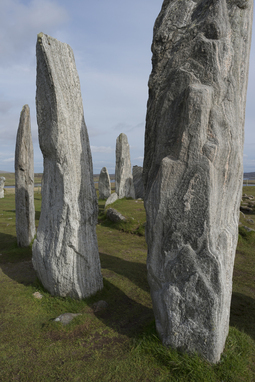 The Stones are an unusual formation of standing stones, with a circle in the middle, from which four lines of stones radiate out, in the form of a cross. The longest of these lines is an avenue, formed by two parallel lines of stones. 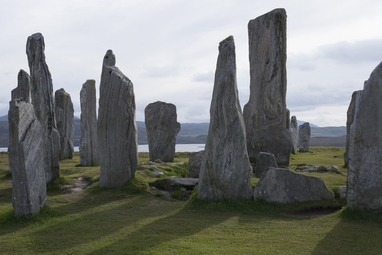 There is also a chambered cairn in the centre of the circle. 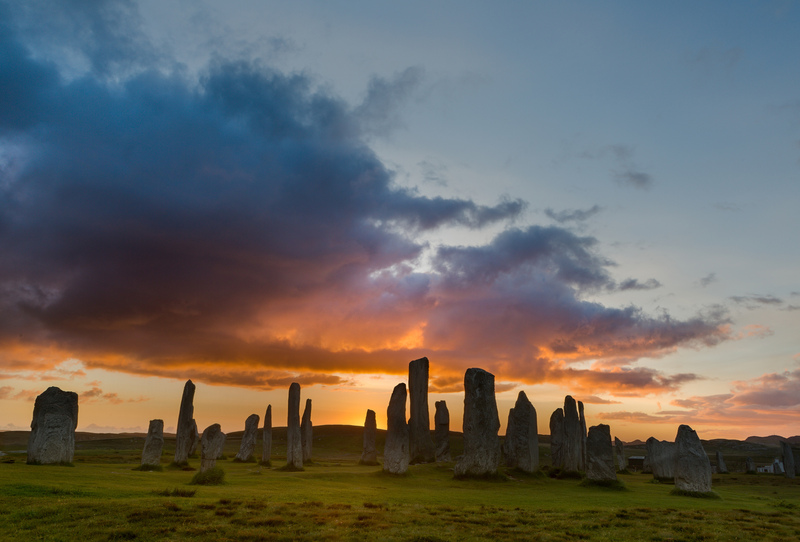 The Callanish Stones site is at the centre of a wider area of smaller stone circles and individual standing stones, spread over several kilometres. 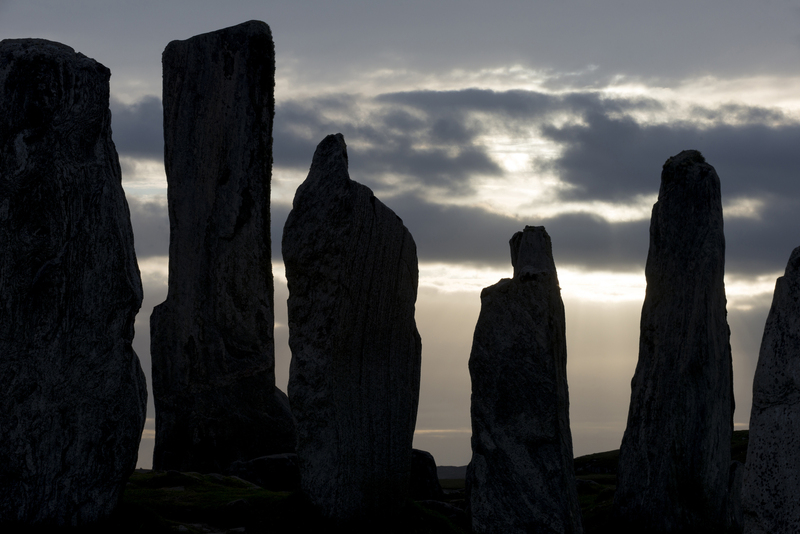 Archaeologists believe that the Standing Stones of Callanish date back 5,000 years. They are thought to be older than Stonehenge, and about the same age as the ancient village of Skara Brae on Orkney. 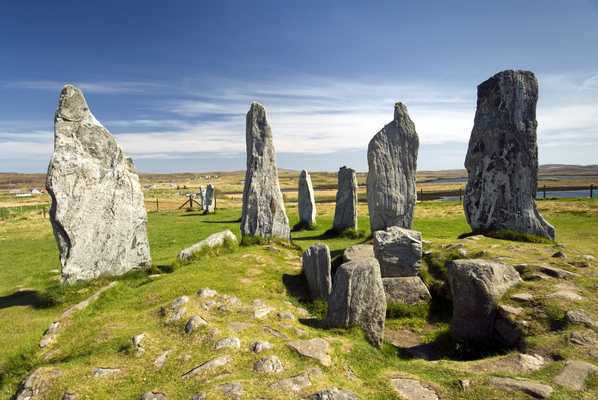 Archaeological excavations show that the main site was built about 3,000 BC, and that the chambered cairn was added later. The chambered cairn was used for burial of their dead. The standing stones were in use for about 2,000 years, until around 1,000 BC. About 3,000 years ago, in 1000 BC, the climate began to change. The weather in Lewis became colder and wetter and blanket bog, or peat, began to form. The stones slowly became covered by peat as time went by, until eventually they almost disappeared from sight. 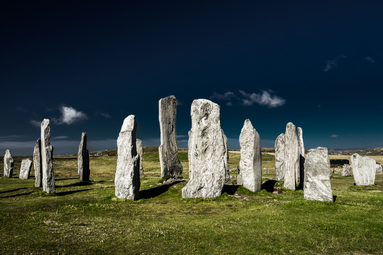 Two thousand years passed before the Stones were uncovered again. 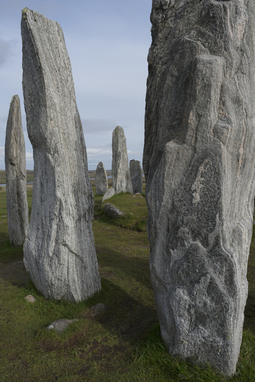 In 1857, only the upper part of the taller stones could be seen. 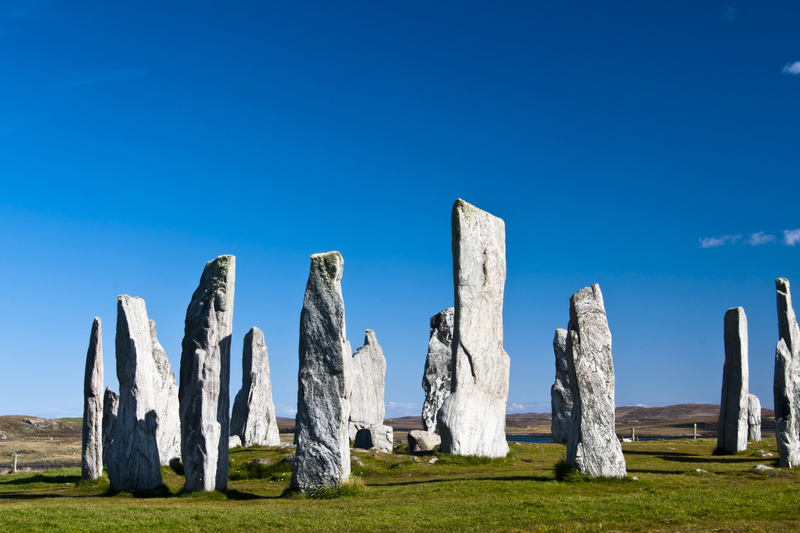 In that year Sir James Matheson, who owned the Lewis at the time, ordered the excavation of the Stones, and about 1.5 metres of peat was removed. They discovered the chambered cairn inside the circle. The importance of the Callanish Stones was recognised, and the site was ‘scheduled’ in 1882. 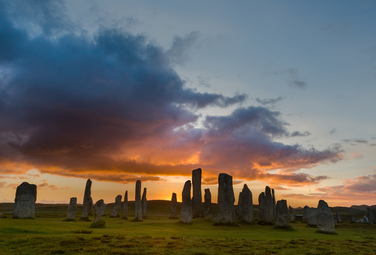 This means that the Stones became the property of the Scottish ministers of state and the site is still supervised by Historic Environment Scotland on behalf of the Scottish Government. There is no definitive answer to the questions as to why the Stones were erected, and what purpose they served. It is generally believed that the layout of Callanish is associated with the moon, and that it might have been some sort of lunar calendar. 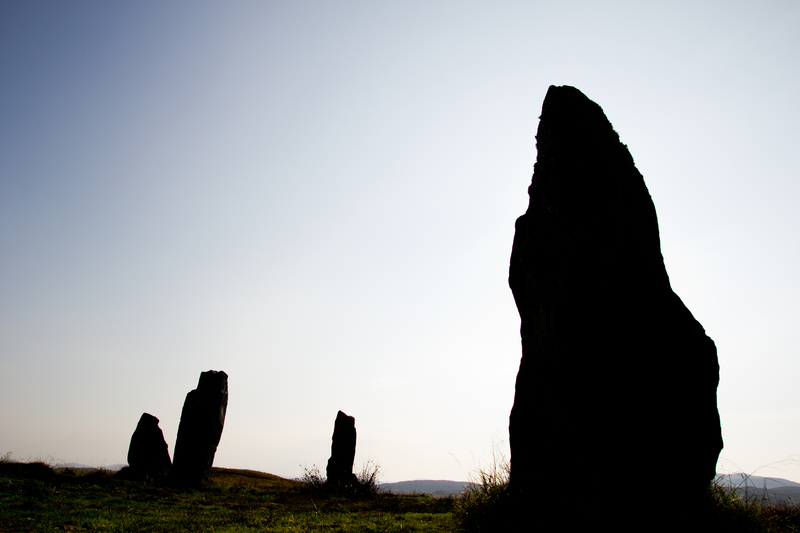 In Gaelic one of the names by which the Stones were known was Na Fir Bhreige, the False Men. There are many traditions surrounding them, one being that they were giants who were turned to stone because they would not convert to Christianity. The first written reference is by a Lewis man, John Morrison of Bragar. 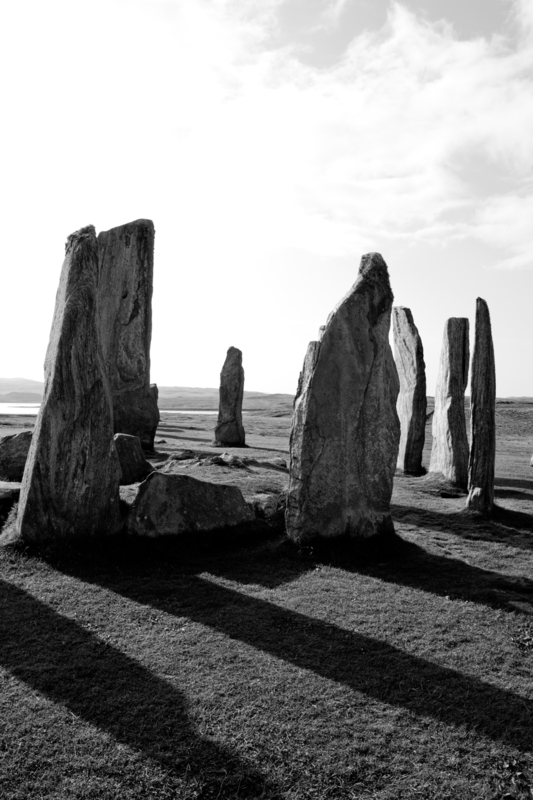 He wrote around 1680 that the stones were men ‘converted into stone by ane inchanter’. Most traditions relate to the Stones being a place of worship long ago. 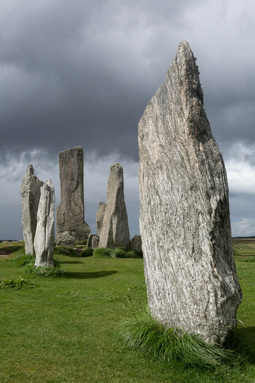 Nowadays, large numbers of people from all over the world come to visit the Stones, particularly at the time of the summer solstice. The Stones have featured on screen, for instance in the Pixar film ‘Brave’, and in TV programmes like ‘Outlander’, based on the best-selling series of books by author Diane Gabaldon. 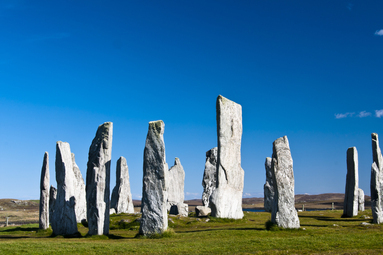 The Callanish Visitor Centre is nearby, providing interpretation, a café and gifts. Choose an interesting site and do your own mini ‘archaeological’ dig. 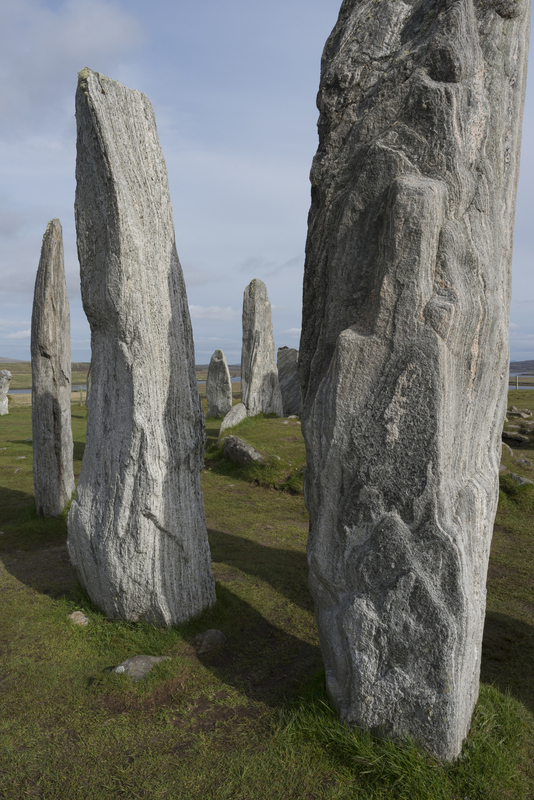 Find out about the number, size, position, etc., of the Callanish Stones, and make a drawing showing the layout and all the different features. 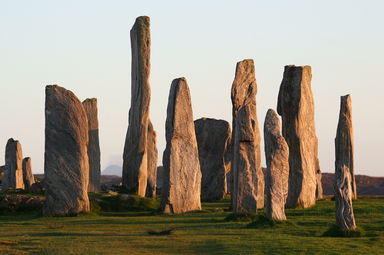 Research the findings of archaeologists about the age of the Stones, and also their rediscovery in the 19th century.